← Pledge – Say No To Hindu Temples! On 15th May, 1936 Babasaheb Ambedkar published Annihilation Of Caste book. 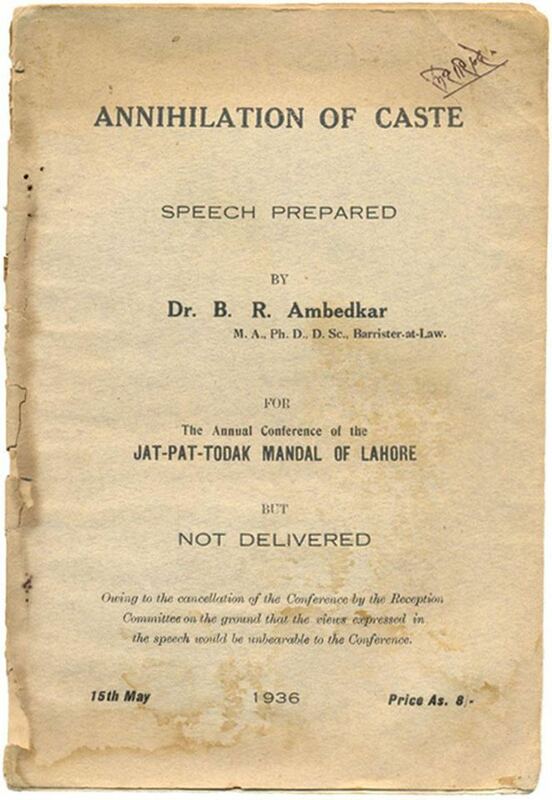 Dr. Ambedkar was scheduled to deliver this speech to a conference in Lahore, but could not. The conference organizers cancelled his invitation as they felt the contents of the speech were too radical for the time. Dr. Ambedkar later released the speech in written format, and it became one of his most famous work – title, ‘Annihilation of Caste’. In this work, Dr. Ambedkar discussed the problems in ending the caste system in India, and how those problems could be countered.